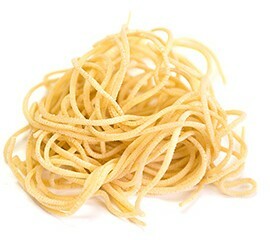 Linguine is very similar to spaghetti, but slightly wider and slightly oblong. Linguine noodles are traditionally served with seafood or pesto, but are great with any sauce! Cook our Linguine in boiling water for 3-4 minutes.